Eliot A. Cohen is the Robert E. Osgood Professor of Strategic Studies at Johns Hopkins University’s School of Advanced International Studies (SAIS) and Executive Vice Dean. After receiving his BA and PhD degrees from Harvard he taught there and at the U.S. Naval War College before coming to SAIS in 1990. His books include, most recently, The Big Stick: The Limits of Soft Power and the Necessity of Military Force as well as Conquered into Liberty: Two Centuries of Battle Along the Great Warpath that Made the American Way of War and Supreme Command: Soldiers, Statesmen, and Leadership in Wartime among others. He served in the US Army Reserve, was a director in the Defense Department’s policy planning staff, led the US Air Force’s multivolume study of the first Gulf War, and has served in various official advisory positions. In 2007-2009 he was Counselor of the Department of State, serving as Secretary Condoleezza Rice’s senior adviser, focusing chiefly on issues of war and peace, including Iraq and Afghanistan. He is a contributing editor at The Atlantic, and his commentary has also appeared in The Washington Post, The Wall Street Journal, The New York Times and on major television networks. Gamze Zeytinci is a dynamic change agent and leader in the field of higher education and brings eighteen years of experience in the areas of strategic planning, policy development, and fiscal management to her role at Johns Hopkins SAIS. She joins the school from American University where she excelled in senior leadership positions across the university, including her most recent role as Associate Dean of Budget and Administration in the College of Arts and Sciences where she developed and implemented programs that improved operational outcomes and maximized faculty and staff resources. Zeytinci holds an MBA and a MS in Computer Science and Information Systems from American University and previously enjoyed a career as a registered pharmacist, for which she trained at the University of Istanbul, the largest and oldest university in Turkey. 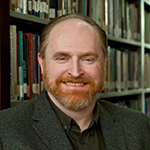 Kent Calder serves as Director of Asia Programs and Director of the Edwin O. Reischauer Center for East Asian Studies at Johns Hopkins SAIS in Washington, DC. Before arriving at Johns Hopkins SAIS in 2003, Dr. Calder taught for twenty years at Princeton University and four years at Harvard University. He also held visiting positions at Seoul National University, Yangon University, and the S. Rajaratnam School of International Studies, Nanyang University as the Rajaratnam Professor of Strategic Studies. Dr. Calder has served as Special Advisor to the US Ambassador to Japan (1997-2001), Japan Chair at the Center for Strategic and International Studies (1989-1993 and 1996), and as the first Executive Director of Harvard University’s Program on US-Japan Relations from 1979-1980. A specialist in East Asian political economy, Dr. Calder has spent eleven years living and researching in Japan and four years elsewhere in East Asia. Dr. Calder received his PhD from Harvard University in 1979, where he worked under the direction of Edwin O. Reischauer. He was awarded the Order of the Rising Sun, Gold Rays with Neck Ribbon in the fall of 2014. Kim Morton became associate dean for Development and Alumni Relations in January 2015. In this role, Morton leads a team of development and alumni relations professionals as they work to build community among alumni and secure the resources essential to the school’s mission. Prior to joining Johns Hopkins SAIS, she was senior director of development for the Wilmer Eye Institute at Johns Hopkins Medicine. She also was previously a major gifts officer at New York-Presbyterian Hospital, responsible for the Morgan Stanley Children’s Hospital. Morton holds a BA from Wellesley College and a JD and MA in international affairs from The George Washington University. Michael Plummer is currently president of the American Committee on Asian Economic Studies (ACAES); he serves as editor in chief of the Journal of Asian Economics and he is a nonresident senior fellow at the East-West Center. Prior to his current roles, he was appointed as head of the Development Division in the Trade and Agriculture Directorate at the Organisation for Economic Co-operation and Development in Paris from 2010 to 2012, and he was a tenured associate professor at Brandeis University. Plummer also served as an Asian Development Bank distinguished lecturer and team leader at the Association of Southeast Asian Nations Secretariat for several projects. He led studies on the ASEAN economic community and development of the ASEAN regional bond market; he advised on ASEAN free-trade initiative; he was a lecturer and adviser to the Asian Development Bank; he was a team leader and adviser to the Association of Southeast Asian Nations Secretariat (2001-2003); he was a member of the editorial Boards of World Development and the Asian Economic Journal; and he was an international advisory board member of the ASEAN Economic Bulletin. Plummer received a PhD in economics from Michigan State University. numerous articles and reviews in academic journals. Adam K. Webb is the American Co-Director of the Hopkins-Nanjing Center, where he also serves as Resident Professor of Political Science. He has been a faculty member since 2008. He previously taught at Princeton and Harvard and was a Visiting Scholar at the American Academy of Arts and Sciences. His research interests cut broadly across political thought, globalization, and critiques of modernity. He has also engaged topics connected with politics on the ground, including social movements, alternative development, and public opinion on cosmopolitanism and the rise of China. He brings an international perspective to HNC and Sino-American relations, including a background of living in England, Spain, the US, and China, as well as doing fieldwork in Latin America, the Middle East, Africa, and South Asia. He is the author of three books, including Beyond the Global Culture War (2006), A Path of Our Own: An Andean Village and Tomorrow’s Economy of Values (2009), and Deep Cosmopolis: Rethinking World Politics and Globalisation (2015). He is currently completing a book project laying out a traditional pluralist vision of future global constitutional order. He received his AB in Social Studies from Harvard and his MA and PhD in Politics from Princeton. Noemi Crespo Rice oversees the Office of Student Affairs, including financial aid, career services, student life, registration, student accounts, international scholar services, and the one-stop student services center. Crespo Rice joined Johns Hopkins SAIS in 2006 as the director of financial aid. Prior to this position, she was director of financial aid at the University of Connecticut’s medical and dental schools. She is an active member of the university serving on its Student Services Excellence Initiative steering committee and as Chair of the Johns Hopkins SAIS Diversity Council. She is also an active member of a number of higher education professional organizations including the American Council on Education's Women’s Network and the National Association for Student Affairs Administrators in Higher Education. Crespo Rice holds a BA from the University of Connecticut, an MA in Higher Education Administration from George Washington University, and EdD in Higher Education Management from University of Pennsylvania. Since arriving in 2009 Sidney Jackson has provided strategic leadership and effective management of admissions for a range of duties related to enrolling high-achieving, passionate, and diverse students at the Washington, DC, Bologna, Italy and Hopkins-Nanjing campuses. His responsibilities include the design and implementation of marketing, recruitment, enrollment management and financial aid strategies, as well as cultivating faculty, student and alumni participation in recruiting activities for the school's degree programs. Prior to joining Johns Hopkins SAIS Jackson served as Director of Marketing and Admissions for the Executive MBA program at Columbia Business School and Vice President for Diversity Recruiting at Morgan Stanley. Jackson is a member of the Association of Professional Schools of International Affairs (APSIA) and currently chairs the university’s Admissions Director’s Working Group which coordinates outreach to Historically Black Colleges and Universities and minority serving institutions in the Washington, DC and Baltimore regions. He holds a BA from Canisius College, MEd from Boston University, and MA from New York University. Julie Micek oversees the Office of Academic Affairs that encompasses academic programming and services, advising, assessment, degree programs, non-degree and executive education, and summer and Pre-Term programs. She is responsible for curriculum and program planning, development and educational initiatives. She maintains and develops academic policies, services and programs that support students, administrators and faculty across the school and its campuses. Prior to working at Johns Hopkins SAIS, she was the Assistant Director of Student Activities at New York University overseeing student leadership, commuter issues, co-curricular programming, and advising over 200 student organizations. She has also worked in college marketing, representing Fortune 100 and 500 companies and products. She received her BA in communications from University of Maryland and her MA in student personnel administration in higher education from New York University. Guadalupe Paz is responsible for advancing the strategic goals of cultivating faculty scholarship and building a community of academic excellence and collaboration. Chief among the priorities under her purview are: faculty recruitment and retention strategies, including a focus on increasing faculty diversity at the school; support for tenure and promotion, including a mentoring program for tenure-track faculty; strategic planning in areas such as curriculum, intra- and inter-divisional collaboration opportunities, and academic resources and technology; and integration efforts across the university. Prior to her current appointment, Paz served as director of faculty affairs and planning in the Office of Academic and Faculty Affairs (2015–2017). From 1994 to 2017, she served as a staff member of the Johns Hopkins SAIS Latin American Studies Program (LASP) in various capacities, most recently as associate director and adjunct lecturer. Before moving to Washington, DC, Paz was a research associate at the Instituto Tecnológico y de Estudios Superiores de Monterrey (ITESM) in her native Monterrey, Mexico. She holds a BA from Stanford University and a Masters in International Public Policy and PhD from Johns Hopkins SAIS. The SAIS Europe Advisory Council is composed of distinguished leaders from Europe and the United States who represent the private, public and non-governmental sectors. The Council plays an important role in the life of the school by providing strategic advice and financial support. Council members also serve as informal ambassadors of SAIS Europe in their home countries and strive to enhance the school’s visibility worldwide. Chief People Officer, Audible Inc.
Current SAIS student in Washington, D.C.
Lawyer; Director, Icahn Enterprises LP and Wendy's/Arby's Group Inc. The Hopkins-Nanjing Council serves as a critical source of advice and counsel to the Johns Hopkins SAIS Dean in setting the overall course for the school’s future. Membership is international in scope and is comprised of alumni, business and public sector leaders, and community members who share a commitment to the peaceful integration of China into the global system through education. Members serve as ambassadors for the Hopkins-Nanjing Center, promoting its programs to external constituencies and working with the HNC’s leadership to ensure its strength and advancement. It is my pleasure to share "Advancing the Mission," the Johns Hopkins SAIS Strategic Plan, a blueprint to advance the school's mission to educate and prepare the next generation of global leaders. The plan is a culmination of three years of engagement with faculty, alumni, students, administrators, and supporters of Johns Hopkins SAIS. Based on this feedback, the plan identifies areas of opportunity, such as faculty scholarship, global recruitment, brand marketing, and philanthropy to build upon the Johns Hopkins University tradition of excellence and advance the school's mission. I look forward to your continued feedback, engagement, and support as we implement its objectives. Through ongoing collaboration with the school's global community of stakeholders, I am confident we will fully realize the school's mission.